A collaborative effort at Merrimac Elementary School in the Sachem Central School District created connections between literacy and community service through a student-organized Pick a Reading Partner theme for the month of March. 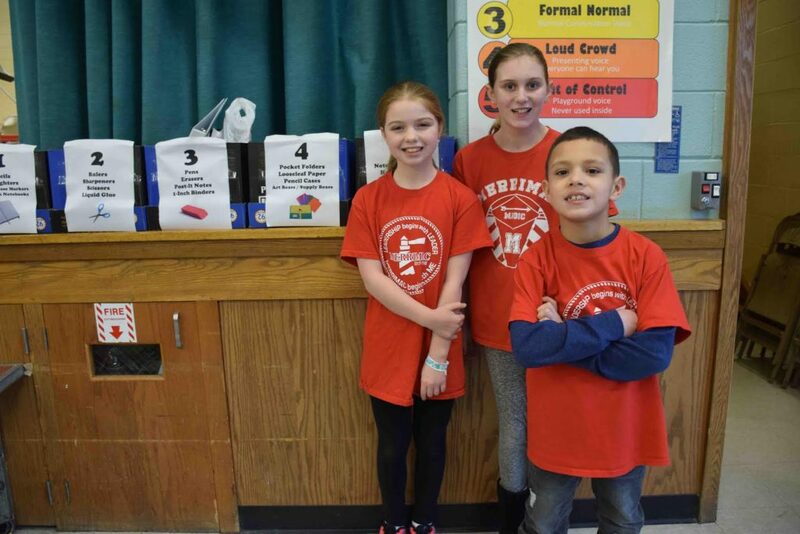 Two fifth-grade students, Brooke Storan and Meadow Murphy, teamed up with second-grade student Lorenzo Vargas to develop a PARP theme that encouraged reading throughout the building, while also collecting school supplies for less fortunate students at Merrimac and other schools in Sachem. The student trio coined the PARP theme, “Supplies Surprise,” and set a goal to collect a plethora of school supplies while logging reading time along the way. The students held two assembly programs informing students of the various incentives associated with the program they organized. For students in kindergarten, first and second grade, once they reach 200 minutes of reading they earn a sheet of quotes to decorate that will be given to the recipients of the school supplies. Fourth- and fifth-grade students that reach 150 minutes of reading earn raffle tickets that will be drawn to select the students who would help organize the collected supplies before they are distributed. As part of the unique initiative, each grade has been assigned a different group of supplies to donate. The students read a total of 148,791 minutes — just shy of their goal of 150,000. Photo caption: From left, fifth-grade students, Brooke Storan and Meadow Murphy, teamed up with second-grade student Lorenzo Vargas to develop a PARP theme that collected school supplies for less fortunate students.